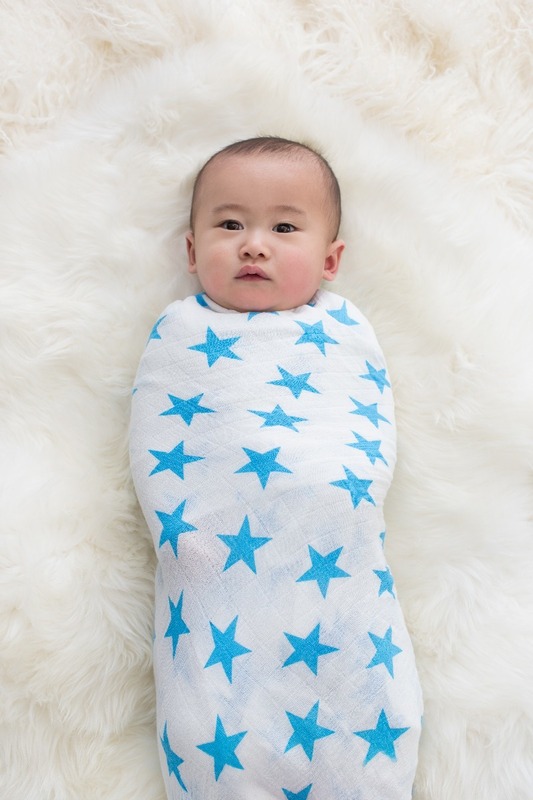 Aden + Anais believe that soft, breathable muslin is the only fabric you should use on your babies. 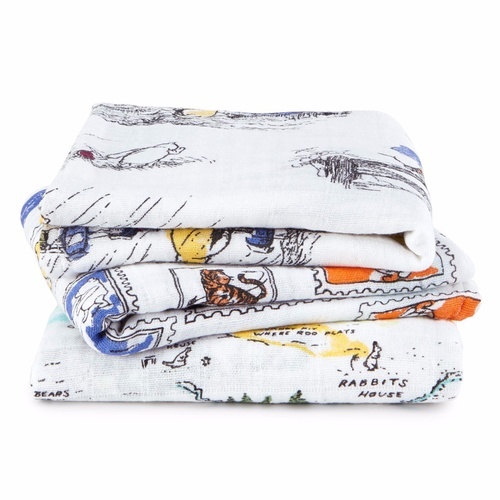 We also believe that every parent and caregiver should have access to this “wonder fabric” and its benefits—which is why we introduced the aden by aden + anais collection in 2009. 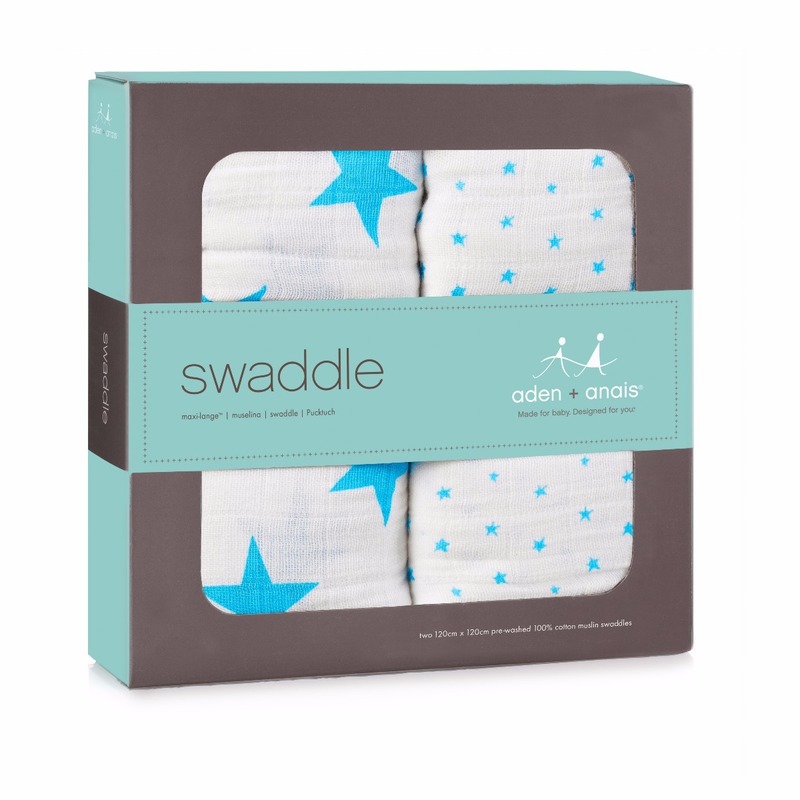 By creating similar products to our aden + anais range with just minor adjustments, like slightly smaller dimensions and lower thread counts, we are able to make the calming assurance of muslin accessible to everyone everywhere. 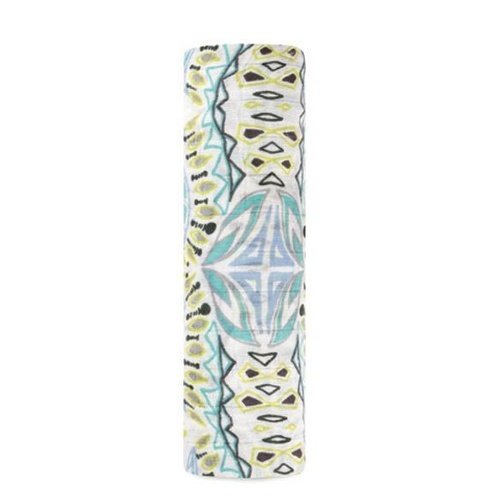 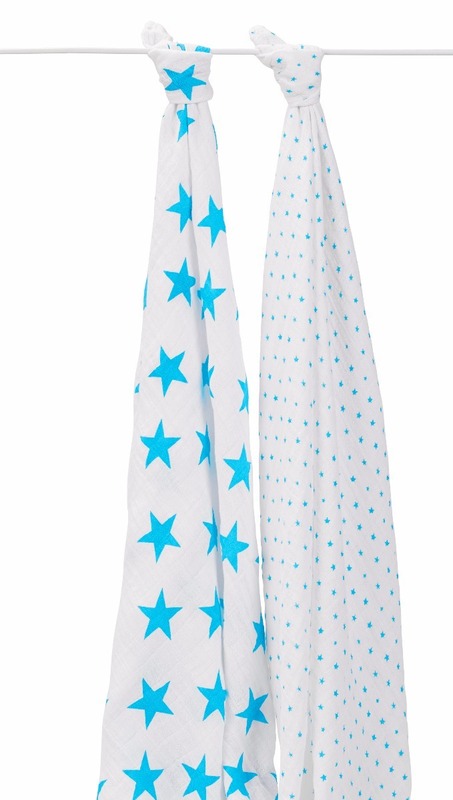 The aden anais swaddle, 'Fluro Blue 2 Pack Classic Swaddles' is patterned with large bright blue stars. 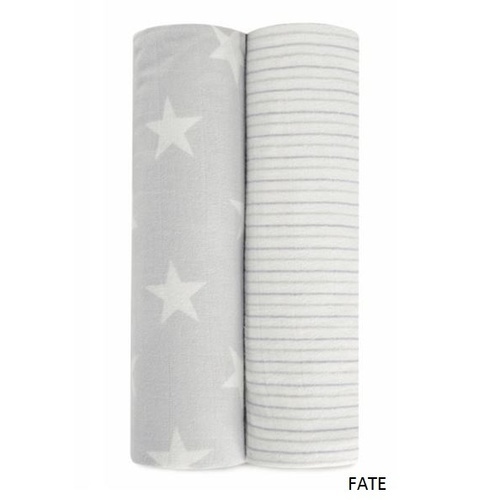 Aden + Anais considered for generations parents have cared for their babies with muslin. 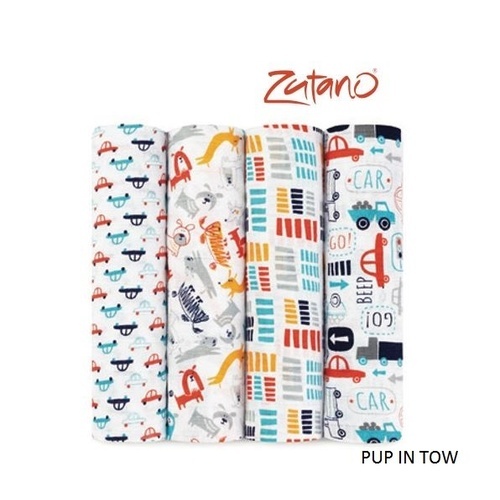 Breathable, versatile and soft as a mother’s touch, the do-it-all fabric helps simplify what can be a chaotic time. 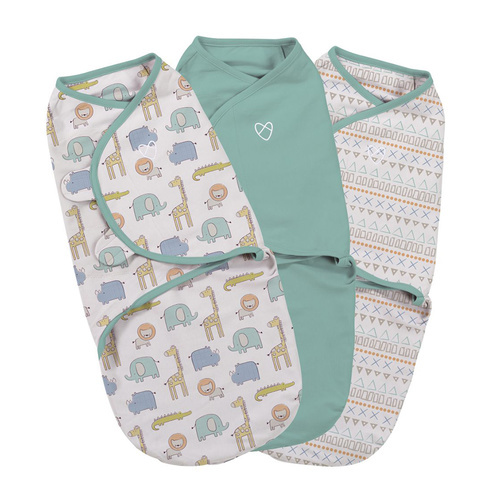 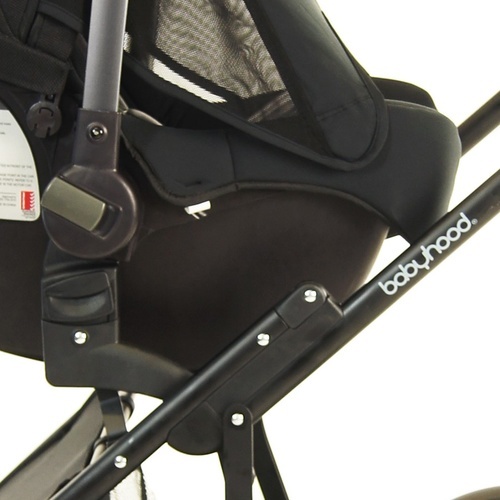 No matter how you’re using our 100% cotton muslin swaddle—stroller cover, burp cloth or nursing cover to name just a few—it surrounds your little one in comfy goodness round the clock. 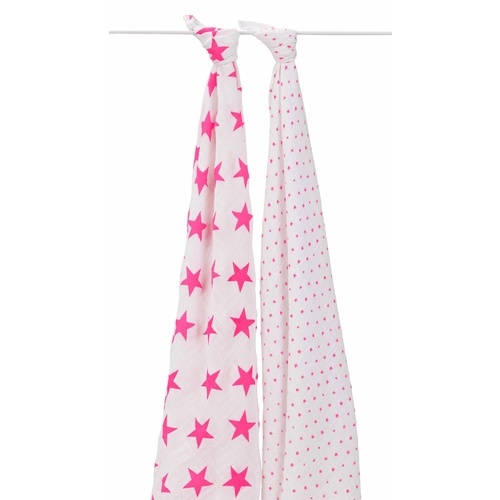 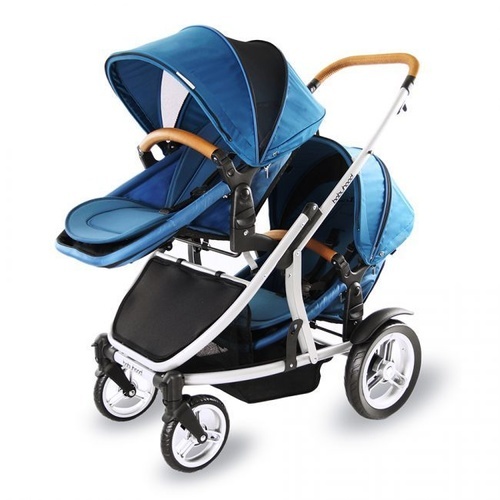 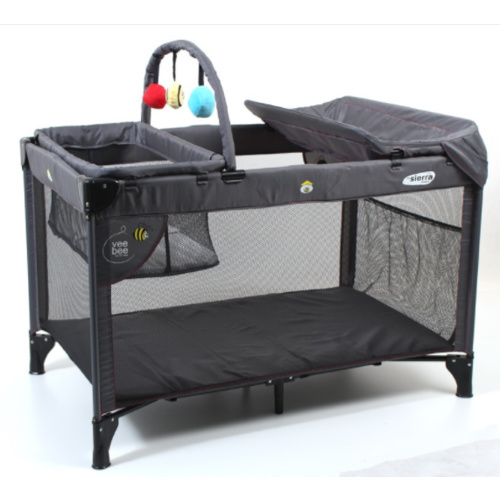 This lovely product suits your convenience and is suited for all children as it is comfortable, soft and breathable.